I have often thought how we can never wear out a Bible memory verse. We all grow tired of cliches we hear over and over again, but God’s word never grows old. His mercies are new every morning. I am so thankful for the Bible memory verses I mastered as a child. I am also thankful for the new ones that I have learned – and relearned – through teaching Sunday School and home schooling our children. As our oldest child progressed into 4th Grade last year, I found myself digging back into the archives of my memory for Math times tables. Math is not my forte. When we don’t use something everyday it begins to fade in our minds. And so with the memory verses I am ashamed to admit how many had begun to gather ‘dust’. It is so rewarding though to review the memory verses from the Bible and have command over old ones and new ones alike. In the face of trials some verses that have comforted and strengthened me are Psalms 23, Proverbs 3:5-6, Psalms 1, Jeremiah 33:3, Isaiah 41:10, and others. Having them handy to quote to myself during the night hours, while driving, or just sitting down for a minute break is so comforting. 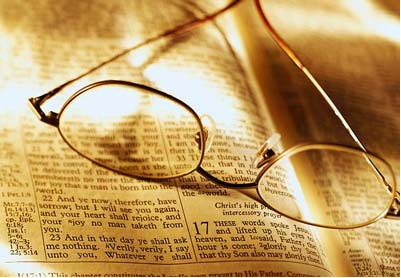 Psalms 119:11 Thy word have a hid in mine heart, that I might not sin against thee. When choosing scripture memory verses, select a wide variety. Salvation verses are vital for sharing the Gospel with others. But having verses on joy, peace, God’s will, creation, the deity of Christ, and eternal security are also a tremendous help to a believer. When I read my Bible I keep a pen handy and underline verses that speak to my heart. In the back of my Bible I jot down references I want to learn. These are just a few of the inspirational memory verses I try to keep fresh in my mind. So take the challenge in your own life to memorize. You can stick verses around the house, office, car, or just about anywhere. Then as you are in those places take the time to read them. Think about your daily patterns. Where do you stop for a minute everyday? Several years ago I kept two long verses from Isaiah on my windowsill by the kitchen sink. Everyday when I washed dishes I read them over and over again. They still are part of my arsenal today. It is so important, no matter how old you are, to strive to hide more and more of the Word of God in your heart. If all you can memorize is one verse, then praise God for that and work on it everyday. Satan wants to distract us from this task. He doesn’t want us to have this bank of verses to fortify ourselves with. Instead Satan wants us to focus on fears and doubts instead of meditating on the Word. So don’t fool yourself into thinking memorizing Bible verses are only for kids. No, in fact it is our duty to show them that we too are still learning verses.